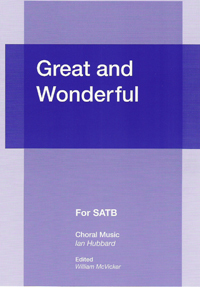 To Preview some of the music from 'Great and Wonderful' you will require a version of Adobe Reader. This is available to download here. You can also now listen to samples of Ian's music by clicking 'Listen' next to preview, on the chosen piece. All works can be purchased separately from Banks Music Publications: www.banksmusicpublications.co.uk. Simply click on 'Publishers', and scroll down to 'Ian Hubbard titles' where the HB number and price can be found. © Website Design Sam Littler and Robin Littler (since 2005).